7 miles south of the Lodge are nineteen very large and geologically interesting sink holes which are two to three hundred feet in diameter and very deep and very interesting to explore. The limestone sinkholes are unique natural wonders which occur in very few places in the world. 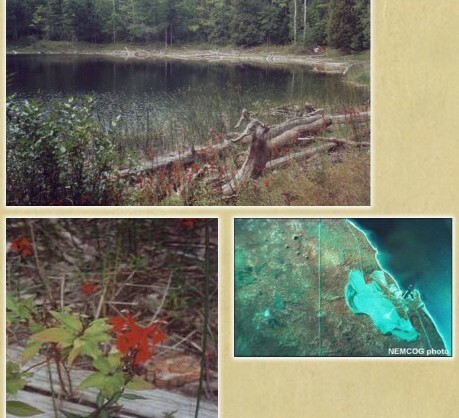 There are approximately 200 sinkholes in Northeastern Michigan, and more can and do form all the time. The rare formations are of great interest to geologists and geographers, as well as to casual visitors. Botanists are intrigued by the unusual flora, especially the ferns and mosses that occur in the cool, dark climate of the sinks. It is possible in this karst topography that water flowing from the sinks may go directly into an underground river network connecting the sinks with each other and with Lake Huron.